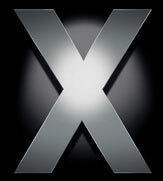 When a new version of Mac OS X comes out, it’s the most dramatic time of the year. Not only do users finally get a chance to use the features Apple has been heavily promoting for nearly a year, but we all get to discover dozens, if not hundreds, of new features great and small. Mix in the unavoidable quirks of upgrading—even the most stable update imaginable still has risks if you're not careful—and clearly the next few months will be an interesting time to be a Mac user. To help you navigate these interesting times, we’ve assembled this Tiger Field Guide, a collection of stories about the new features of Tiger. We’ve also got information for anyone who’s about to run the upgrade, so you can make sure you’re not bitten by this Tiger before you get a chance to really use it. And for ongoing, in-depth coverage of Tiger—including an avalanche of tips and tricks over the coming weeks—visit and bookmark the Macworld Tiger topic page.